The online newsletter included a photo and summary of the Herrick Women's Networking Series Poker Night Event which took place on May 2nd at the Manhattan Penthouse on Fifth Avenue. The article notes that the event, hosted by Herrick's women partners, featured instruction and pro tips from Vanessa Selbst, the highest-earning female tournament poker player in history and a recent Yale Law School graduate. 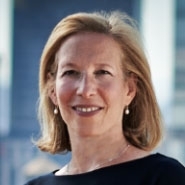 Real Estate Partner Belinda G. Schwartz, notes that the Herrick real estate practice is seeing an increase in the availability of debt and equity, retailers exploring "edgier locations" as well as a surge in hotel development.